There are two reasons why you should build a “green” home. On a personal level, a green home promotes healthy living by protecting your physical and emotional well-being. It also reduces your home’s energy costs. On a global level, green high-performance construction supports a healthy environment by conserving the earth’s resources. It also safeguards our planet’s life support systems. Green homes are built with products that are safe and nontoxic. They incorporate green features that minimize the build-up of indoor air pollutants, humidity, and allergens. These green characteristics are important to your family’s health, since airborne toxic pollutants are five times higher inside houses than outdoors. Green design also resists the growth of mold and mildew. Not surprisingly, green building helps family members with asthma or allergies. It also improves everyone’s comfort, since it is less drafty. A green home is built with sustainable practices, ones that rely on renewable resources. Green builders use land in a way that is sustainable. They reduce the impact of construction on a site’s natural vegetation, thus preserving native plants, trees, and topsoil, and they use landscaping that conserves water. Green builders efficiently employ resources, conserving materials and cutting waste where possible. They select materials and equipment that are friendly to the environment. When green builders apply these practices to their heating and cooling systems, they craft homes that use less energy, which benefits our planet. You benefit as well, since you save money, as much as 50% on utility costs. These green practices also increase your home’s resale value. Building green is easier, faster, and more affordable when using modular technology. The hallmarks of high-performance green construction – energy efficiency, healthier indoor environments, and sustainable practices – are more readily accomplished in a factory. The modular building system produces tighter, more energy efficient homes than conventional construction. Efficient assembly line practices and quality control procedures ensure this result. Volume purchases reduce the cost of the green products needed to create a healthy indoor environment. And factory production practices use manpower, materials, and energy more efficiently. The thermal envelope of a modular home easily meets or exceeds the requirements of green construction. High-performance green windows and doors, matched with ample amounts of insulation, create a well insulated modular shell. Tighter construction is typical because the modular structure can be built from the inside out in the factory’s climate controlled facility. Conventional, on-site builders first sheath the exterior of the home to protect the structure from the elements. They next install the mechanical systems and insulation in the walls and cover the finished product with drywall. This sequence makes it difficult to seal behind the drywall penetrations required to complete the plumbing, electrical, and heating systems. A modular home begins with the mechanical systems installed through the drywall before the exterior sheathing is glued and nailed in place. This allows assembly line workers to directly seal the drywall penetrations. Another reason modular technology produces tighter homes is that the components are joined with stronger fastening systems. Many components are attached with both glue and conventional fasteners. Since the grade of glue is often stronger than the screws, nails, and bolts, this modular technique bonds the materials very tightly together. And since the glue fills many of the cracks and crevices that naturally occur between framing materials, the fastening system further reduces air infiltration. The tighter construction typical of high-performance modular homes offers another advantage besides lower energy costs. It reduces the amount of pollen, dust, moisture, and other outside pollutants that can get inside a home. Because this tightness limits the amount of stale air that can escape a house, modular homes – like all tight, energy efficient homes – need to take steps to ensure the inside air stays healthy. Green modular manufacturers accomplish this in two ways. They significantly reduce the use of products that emit pollutants, and they install ventilation systems that remove the pollutants that build up inside. Many of the products used to build today’s homes contain chemicals that are released into the air over time. This “offgassing” or “outgassing” is particularly unhealthy when the gases include formaldehyde or volatile organic compounds (VOC). Green modular factories select materials that emit less formaldehyde and use paint, primer, sealants, and adhesives that emit little VOC. Green modular manufacturers are able to affordably switch to these healthier materials because of their volume purchases. Limiting the use of products that emit toxic gases is only half the challenge of creating healthy indoor air. After all, people’s everyday activities of breathing, cooking, bathing, and cleaning inevitably create airborne pollutants and moisture. Green modular manufactures help create a healthy indoor environment by installing ventilation systems that replace the stale air with fresh air from the outside. This can be done affordably with Energy Star approved bathroom fans and kitchen range hoods that exhaust to the outside. Modular factory production includes a third green characteristic: it enables resource efficiency and sustainable practices. Green modular factories promote resource efficiency by selecting products that reduce the demand for water, energy, and materials. For example, green modular homes include water efficient fixtures, such as low flow toilets and water efficient showerheads and faucets. Green modular manufacturers create less waste by using lumber precut to size and by reusing and recycling what they can of their limited waste. For instance, it is common for a modular factory to recycle cardboard, aluminum, steel, and plastic and to reuse drywall. The limited on-site construction of modular homes conserves energy by reducing the number of trips to and from a job site. Modular factories promote sustainable practices in several ways, most notably with assembly line procedures that reduce build time, enhance quality, and lower cost. Modular technology even carries sustainability to the building site. With most of the home built at the factory, green modular construction causes less damage to the environment, and imposes less noise and disruption on the neighborhood. The first step when shopping for green high-performance modular homes is to select the right dealer. 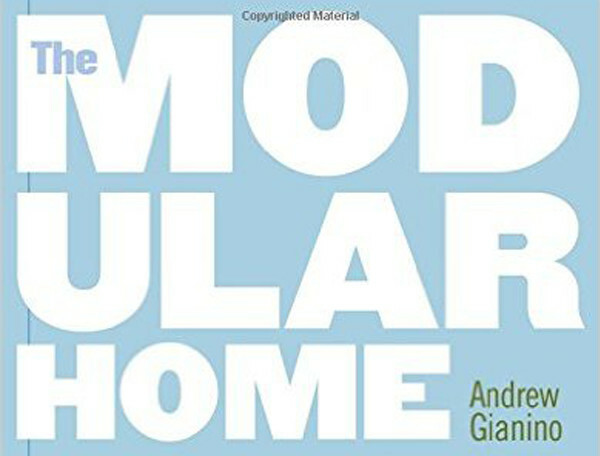 See The Modular Home by Andy Gianino for a detailed account of how to do this. Be sure to choose a dealer who understands the requirements of green construction so they can help you select green specifications and create a modular green design, appropriately sized with lots of natural light. Although there are good dealers in most communities, many of the most qualified ones have little experience with building green modular homes. Your dealer must also work with a modular factory that offers green materials. Not all factories offer healthy, sustainable materials, even though modular manufacturing is inherently green. It is also critical that you make certain that the set crew and general contractor (GC) know their responsibilities for completing green modular homes. Energy efficiency, a healthy indoor environment, and sustainable practices can only be achieved if green specifications and techniques are employed when the set crew installs the modules and the GC completes the carpentry button-up and mechanical hookups. The set crew and GC are especially important for preserving the energy efficiency built into the home by the factory. To retain the low air infiltration rates, the set crew and GC must seal the gaps between modules that are created when the modules are placed side by side or stacked on top of each other. It is impossible to make the joints between modules airtight without this extra step. Together the set crew and GC must seal the “belly band” where the modules join between floors, the “marriage wall” joints along the basement ceiling, exterior walls, and attic floor, and the mechanical penetrations between floors and walls. The GC is also responsible for installing a heating and domestic hot water system that meets or exceeds the Energy Star standards. This includes insulating and sealing all HVAC ducts. The GC has an essential responsibility for creating a healthy indoor environment and adopting sustainable practices. Venting combustion products safely, installing radon protection, and supplementing the factory ventilation system with a HEPA air filtration system are GC responsibilities that foster a healthy indoor environment. Using renewable energy sources such as passive solar and installing ecologically sustainable materials, such as bamboo flooring, are GC responsibilities that involve sustainable principles. Planning the site and house orientation to maximize solar gain and natural breezes is another sustainable practice. Keep in mind that few modular GCs are prepared for these responsibilities. The best way to ensure you are getting a green high-performance home is to have it approved by one of the green certification programs, such as the Model Green Home Building Guidelines created by the National Association of Home Builders (NAHB) – see www.nahbgreen.org. The Leadership in Energy and Environmental Design (LEED) Green Building Rating System is another third party certification program. If you select The Home Store to build your green home, we will help you create a modular green design and select green materials. Both of our factories are committed to building green modular homes. Our set crews already do the essential air stopping required of green homes. If we serve as your GC, we will complete the general contracting responsibilities required for green construction. Since your interest or budget might focus your attention on only a few of the green features, we will allow you to pick and choose from the entire list of green choices a la carte style. For example, if you particularly value utility savings, we will help you select those features that promote energy efficiency. If you especially value indoor air quality, we will help you choose those features that support healthy indoor environments. Or if you are principally committed to protecting the environment and reducing your carbon footprint, we will help you pick those features that involve sustainable practices and resource efficiency. Needless to say, we will gladly help you incorporate the entire green package of energy efficient, healthy, and environmentally friendly features into your modular home.